As school wraps up for the year, Prairie Valley School Division and Frontier College are ramping up for their summer camps and predicting another successful year. The program, funded by Ministry of Education, can accommodate up to 40 children aged five to 12 years old. The camps will run from July 12th to 22nd in Grenfell and July 26th to August 5th in Fort Qu’Appelle and will ensure students continue to learn in a fun and engaging way, throughout the summer. Campers will increase their love of reading through storytelling, group reading, board games, arts and crafts, music, writing, field trips, and drama. Camps are free and include snacks and lunch for the children. Registration for the camps is on a first-come, first-served basis. For more information or to register, please call Tami at (306) 332-4343. 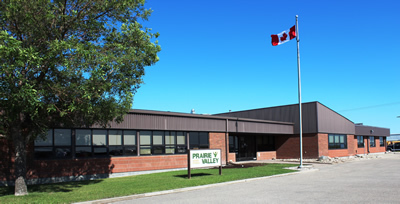 PVSD serves approximately 8,000 students in 38 schools throughout southeast Saskatchewan. In support of the vision “Leadership in Learning and Life”, the Division strives to ensure a high-quality education that provides students with the tools to reach and exceed their potential.